What did she learn from Don Daynard? How's he doing these days? If she could only pick one cohost, is it Don Daynard or Mike Cooper? How did she break into this very tough predominantly male industry? Was she taken by surprise from the support of her fans to bring her back after being let go, and that management actually agreed, given most just tough out their decisions in this industry? Would she ever do talk radio? Ask her if it's difficult to produce so much phoney cheese every morning, or does it just come naturally. I'll bet she'll be a great interview. 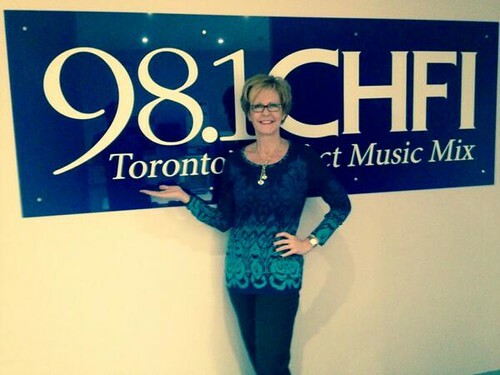 I never listened to CHFI but after hearing her on H&F a couple of years ago I did start to listen. I do like her morning show. Maybe there's a little cheese sometimes but I sense that she knows something is cheesy too. I like their early morning banter in the 5-5:30 time where they do have longer periods of 'talk'. Usually they have something good and interesting to talk about. I'll be listening! On H&F she discussed her move to sobriety. How is that going and what difference has it made in her professional and personal life? I had to make the same decision a while back and it made a huge difference (positive). I'm interested in how others experience the change. What was it like to work at CKO radio? I listened all of the time and the alumni list is impressive. Also, growing up in southern Ontario, I listened to CKLW from Windsor. What was that experience like? Don't have any questions for Erin but you can add me to the list of fans of Erin and Mike and CHFI. "Cheese" is part of any personality in the media. I like the banter between her and Mike; sounds spontaneous (or maybe I am just too easily pulled in?) Anyway I enjoy the show and CHFI as a whole. Note to Aurora Bob: I also grew up in souther Ontario. Where you from? Born and raised in St Thomas. Home of CHLO radio - originally 680 but struck a deal with CFTR to swap frequencies to 1570. It was not a powerful station compared to the Big 8 in Windsor. I remember listening to it way down into mid-Ohio - their reach was huge. Thanks Aurora Bob. I was a little closer to Windsor, grew up in Amherstburg.